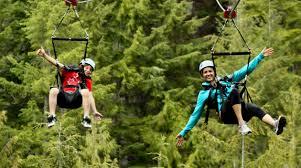 Plan out your activities: Treetops Adventure (with zipline), day at the spa, Lil 'Wat cultural centre, a game of golf, go to the beach, games or interpretive hike. Guaranteed fun! This is a retreat for singles or couples ages 23-35. *Priority will be given to married couples for the private rooms.